"A brilliant best seller. . . . Lucidly analyzes the tenets of Hinduism, Buddhism, and Taoism to show their striking parallels with the latest discovery in cyclotrons." --"New York" magazine "A pioneering book of real value and wide appeal." --"Washington Post""I have been reading the book with amazement and the greatest interest, recommending it to everyone I meet and, as often as possible, in my lectures. I think you have done a magnificent and extremely important job." 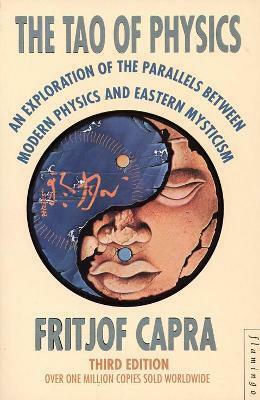 --"Joseph Campbell"
Fritjof Capra received his PhD in theoretical physics from the University of Vienna and has done research in high-energy physics at several European and American universities. Capra has written and lectured extensively about the philosophical implications of modern science and is author of `The Tao of Physics', `The Turning Point' and `Uncommon Wisdom'. Currently Director of the Centre for Ecoliteracy in Berkeley, California, he lives in Berkeley with his wife and daughter.